Are All LCD TVs Also HDTVs? When it comes to LCD TVs (LED TVs are LCD TVs! ), many consumers automatically think that LCD equals HDTV. However, it must be noted that the term "LCD" does not have anything to do with resolution, but the technology used to create the image that is seen on an LCD TV screen. LCD TV panels can be made to display specific resolutions, which is stated in Pixels. It is also important to point out that the size of the LCD TV screen does not automatically mean it is an HDTV either. The following is an explanation of how the interaction of LCD technology and display resolution intersect. If You own an LCD TV that was manufactured in the early 2000's or before, it may actually be an SDTV (Standard Definition TV) or EDTV (Extended Definition TV) and not an HDTV. SDTVs have a display resolution of 740x480 (480p). The "p" stands for progressive scan, which the way LCD TVs displays pixels and images on a screen. EDTVs typically have a native pixel resolution of 852x480. 852x480 represents 852 pixels across (left to right) and 480 pixels down (top to bottom) on the screen surface. The 480 pixels down also represent the number of rows or lines from the top to the bottom of the screen. This is higher than standard definition, but it does not meet the requirements of HDTV resolution. The images on these sets can still look good, especially for DVDs and standard digital cable, but it is not HDTV. DVD is a Standard Definition format it supports 480i/p resolution (740x480 pixels). In order for any Television (that also means LCD TVs) to be classified as an HDTV, it must be able to display a vertical resolution of at least 720 lines (or pixel rows). Screen display resolutions that fit this requirement (in pixels) are 1024x768, 1280x720 , and 1366x768. Since LCD televisions have a finite number of pixels (referred to as a fixed-pixel display), signal inputs that have higher resolutions must be scaled to fit the pixel field count of the particular LCD display. For example, a typical HDTV input format of 1080i or 1080p needs a native display of 1920x1080 pixels for a one-to-one point display of the HDTV image. Also, since, as mentioned previously, LCD Televisions only display progressively scanned images, 1080i source signals are always either deinterlaced to 1080p or scaled down to 768p (1366x768 pixels), 720p, or 480p depending on the native pixel resolution of the specific LCD television. In other words, there is no such thing as a 1080i LCD TV. LCD TVs can only display video in a progressive scan format, so if your LCD TV accepts a 1080i input resolution signal, the LCD TV has to deinterlace and rescale the 1080i input signal to either 720p/768p on TVs with a 1366x768 or 1280x720 native pixel resolution or 1080p on LCD TVs with a 1920x1080 native pixel resolution. Also, if your LCD television only has a pixel field of 852x480 or 1024x768, the original HDTV signal must be scaled to fit the 852x480 or 1024x768 pixel count on LCD screen surface. HDTV signal inputs have to be scaled down to fit the LCD Television's native pixel field. 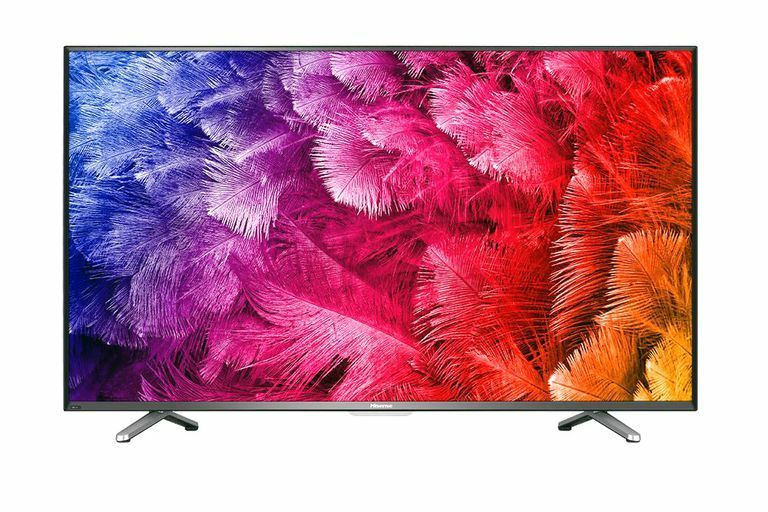 With advancements in display manufacturing technology, there are an increasing number of LCD TVs that provide a 4K (3840x2160 pixels) display resolution (referred to as Ultra HD). Also, TVs that can support 8K resolution (7680 x 4320 pixels) are not available for consumers as of 2017, but, be on the lookout as it is anticipated that they will be accessible, at least in small numbers, by 2020. When shopping for an LCD TV these days, you can be assured that the vast majority meet at least the minimum requirements to be classified as an HDTV. TVs with screen sizes 32-inches or less may have either 720p or 1080p native resolutions, TVs 39-inches and larger may feature either 1080p (HDTV) or Ultra HD (4K) native display resolutions. However, there may be cases on some TVs 24 inches and smaller, where you might encounter a 1024x768 display resolution, but that is definitely rare these days. Just keep in mind that there are still some older LCD TVs in use that may be SDTVs or EDTVs - if you are not sure what yours is, take note of the package labeling, consult your user manual, or contact tech support for your brand/model if that is possible.